Episode 12: If you want to be successful in life and ministry, you cannot stop learning! And one of the best ways to do that is to keep reading. In this episode the guys share with us some of the books that have helped shape their lives and ministry. Check out their top 3 books each, as well as their honorable mentions. They create custom apps for Apple TV, Amazon Fire TV, Roku, and Alexa. Integrating with Vimeo, Libsyn or your preferred media host. They believe you should own your media and it’s their job to help you distribute it. Their apps are powerful, dynamic and custom with your branding, not their own. We have worked with them, and we love what they’ve done for us! 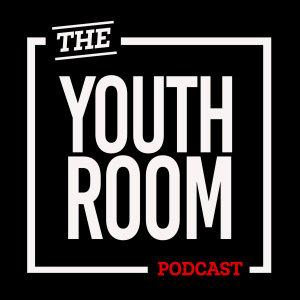 The Youth Room podcast, hosted by Student Ministry veterans Trevor Miller and Daniel “Stallion” Stevanus, offers practical training for Youth Pastors and leaders. With their unique style and humor, the guys help you produce powerful Student Worship Experiences at your church.